After completing his high school education in Padua, Frank joined Syracuse University where he attained a B.S in Information Studies with a Major in Philosophy. This knowledge would, later on, provide him with a firm foundation to get involved in Cryptocurrency and to shape innovation and practice in the Finance industry. His professional career started at JP Morgan, where he worked for a period of 18 years from December 1996. When Frank first joined JP Morgan, he started out as a settlement specialist in the back office and by the time he was leaving, he was an executive director. The company presented him with an opportunity to work on three different continents. In the course of his work, he gained useful skills in analysis and management. What he is even more grateful for other than the experience, is that it opened up his mind to ideas. He began seeing new frontiers in currency and he was particularly engulfed in Bitcoin and its potential to change the way business is done. He first got involved with Bitcoin in 2013 and eventually bought into the US Marshals auction of Silk Road coins in early 2014. Since then, he has been investing in Start-ups both directly and via Blockchain capitals Angel list syndicate. In January 2018, he and four other early adopters co-founded the Block5 with an idea of finding great projects with qualified teams. Their role is to advise, promote and invest in seed round/ early stage projects. So far Block5 has offices in Miami, London, and Brussels. Currently, there are numerous new trends in the financial industry. In the future, the financial behavior will change, requiring people to be more connected and less need of government policing. This is the best opportunity for the Blockchain technology and particularly cryptocurrencies to take center stage in driving innovation in Finance and Tech. On 1st June, 2018 they will hold their first event in Brussels in Belgium. This will be the beginning of a process of sharing ideas, insights, and knowledge on the Blockchain and Cryptocurrencies. This will be a one day conference that will focus on the future of financial behavior and also highlight the opportunities that Blockchain is offering us. The facilitators of the event will be a Bitcoinference team comprising of early adopters and developers whose aim is to lead the industry and the market. The Bitcoinference will be attended by over 500 investors. There will be 6 potential startups on the main stage which will launch this year and 12 inspiring speakers. 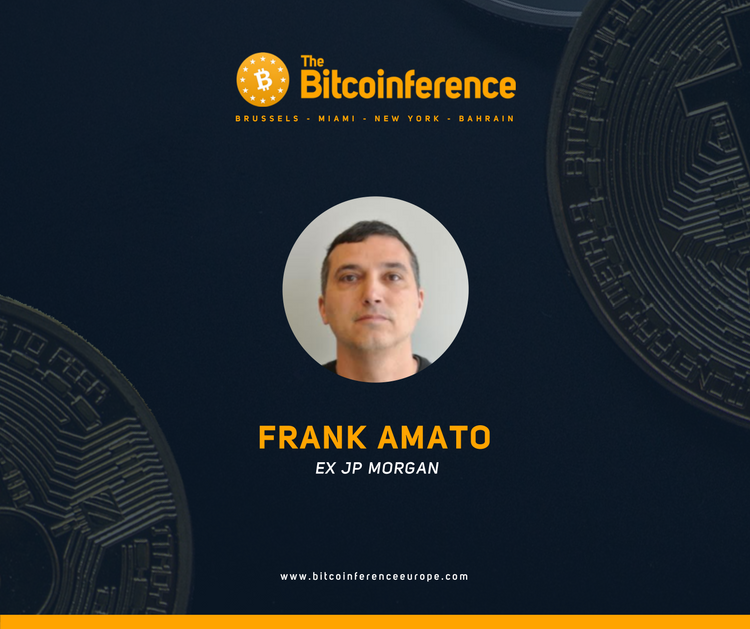 Frank will be attending as a speaker and he cannot wait to share with you all the knowledge and ideas he has gathered over the years. As an attendant, you will have the first view of what the market is offering and more so, the insight and value of Blockchain technology. You will also get to interact with developers and business people from diverse fields adding on to your network.